If you are interested in the Unity Game engine or Game Development in general and looking for some exciting courses to kick-start your journey then you have come to the right place. In this article, I am going to share some of the best Unit Game Development online courses for Programmers and Software Engineers. I have chosen these courses for all kinds of programmers with a particular focus to all the people who want to learn to code for making games. That's why even people with zero Programming and Coding experience can start with these courses and come out as a Unity game Developer who can not only develop some truly amazing games but also get a job as a Game developer on popular gaming shop like Sony, Electronic Arts, Nintendo among others. Do you need anything to start with Unity? Well, as I said the courses will only teach you Unity but also how to code and how to develop games, so you literally don't need any prior coding experience, but if you know C# then its well and good because Unity API is in C# and you can develop plugins for Unity using C# programming language. Unity is also one of the most in-demand tech skills and there are even a Unity Certification Programs for Unity developers. Unity Certification can give you recognition for your skill and show your commitment to professional standards. You can choose Unity Programmer or Unity 3D Artist depending upon your interest level. Here is my list of some of the best Unity game development courses. As I have said, these courses will not only teach you about Unity game engine but also how to code and basics of Game development required for any Game developer. I have also included courses to learn about 2D and 3D Game development with Unit. This is one of the best online course to learn Unity and Programming. This is particularly good for people who want to learn not only Unity but also coding as it first teaches you how to code and the game development and Unity comes in. The course is not only well structured but also very interesting and you won't feel bored for a single minute. Both the instructors Ben Tristem of GameDev.tv and Rick Davidson are very experienced and enthusiastic about their teaching. The course will also help you to learn C#, one of the popular programming language from Microsoft and leader for developing GUI based applications for Windows. It will also help you to build a solid foundation for the 2D game design and game development that will help you build your own games or get a job as a Game Developer. Talking about social proof this course has n average 4.6 ratings from 57K reviews from close to 290,000 students which are unparallel and phenomenal. Overall, one of the best course for all the people who want to learn coding, game development, and the Unity game engine. The course is also updated for the latest version of Unity, the Unity 2018 version. A big thanks to both author, Ben Tristem and Rick Davidson for creating such an awesome course. This is another awesome course to learn Game Development with Unity by Ben Tristem of GameDev.tv and Rick Davidson, instructor of the previous course. 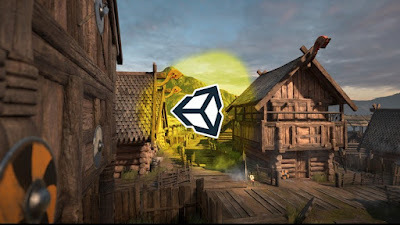 You can treat this course as the next part of the previous course as the previous course taught you 2D game development while this course will teach you 3D Game Development with Unity. In this course, you will not only learn about game design with Unity 3D but also about coding, object-oriented programming, and design patterns, source control, and how to work in a small team, which will help you a lot in your career. Talking about social proof, again, this course has got and rave reviews. On average, it has 4.6 ratings from close to 10,000 reviews and more than 55,000 students have already enrolled in this course, which speaks volumes about the quality of this course. 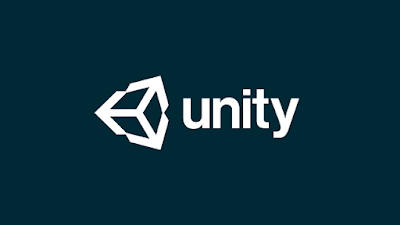 Many of you might not know that Unity also has a certification program to become a Certified Unity Programmer or a 3D-artist which can be good for anyone who is looking for a job as Unity Game developer. 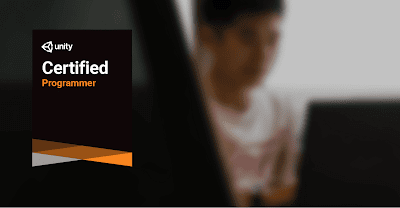 This is Unity’s official series of courses on Course, another popular online learning portal, designed to prepare you for the Unity Certified Programmer exam, the certification for entry-to-mid-level Unity programmers. In this course, you’ll gain practice and experience in each of the topics covered in the exam through hands-on problem-solving challenges. You’ll also build two complete Unity projects end-to-end, implementing core interactivity, supporting systems, and platform optimizations. This Coursera Specialization or series of courses are particularly useful for Unity programmers with 1-2 years of experience who wants to bring their existing skills up to a professional standard. 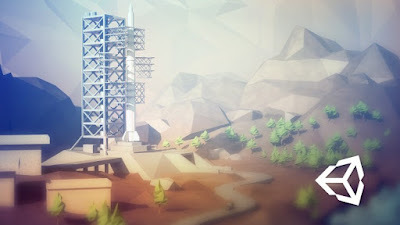 This is another awesome course to learn Unity Game developing on Udemy. This course is created by Jonathan Weinberger in partnership with Unity Technologies, the company behind the Unity game engine. Like the first two courses, this will also teach you how to develop games with Unity game engine from ground zero. You will learn by installing Unity software and then learn C# Programming by developing 2D and 3D games with this comprehensive guide. The course is particularly good at learning some of the key game development skills like create power-ups, laser beams, speed boosts, and shields. Applying shaders that transform your game backgrounds, creating enemies with basic AI behavior, collect and destroy game objects, implementing sound effects, background music, and particle effects and much more. The course also got on average 4.5 ratings from more than 32,000 students which is amazing. This is another awesome course to learn Game Development with Unity on Pluralsight, another great place for online learning. In this course, you will learn to develop a high-quality 3D game for web, PC, Mac or even Linux using Unity, as it's cross-platform and allows you to develop games even for Android and iOS devices. As I have said before, Game development can be fun and very rewarding when you go viral on the iOS App Store or Android Market, remember Angry Bird, Flappy Bird, Candy Crush, etc. Why Programmers should Learn Game Development? To be honest with you guys, I love game development because that's how I learned to code. Before developing games like Tic-Tac-Toe, Tetris and Super Mario Bros clone I knew Programming but only syntax and semantics, my mindset was about remembering and mugging the program and typing, instead of thinking and coding. Games changed everything. They taught me how to use a data structure like I didn't know that array can be used to create platform games where the screen is just a 2D array and different objects are just different integer values. Games also though me how to use multi-threading because for any sort of games you need two threads, a game thread which updates data and a thread which handles events and renders screen. Games also taught me a lot about performance, responsiveness, and user experience and I ultimately become a better programmer than I was before. Well that was even before Unity was born and even though most of game development experience is in J2ME, Java Micro edition for developing games for mobile devices, I truly understand the value they provide in improving Programming and Coding skill. If you are also interested in improving your coding skill I also suggest you learn about SOLID design principles, they will help you to write better and more flexible code. 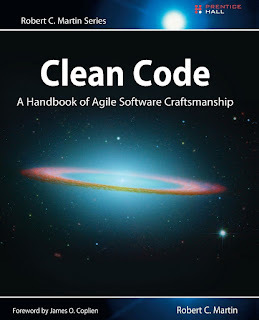 These are some principles which are based upon OOP coined by Uncle Bob Martin in his classic book Clean Code, one of the must-reads for any programmer. That's all about some of the best courses to learn Unity Game engine and Game Development in general. Game development can be fun and very rewarding when publishing a hit game into Web like Facebook or iOS App Store, and Android Play Store. Thanks a lot for reading this article so far. If you like the Unity and Game Development online courses then please share with your friends and colleagues. If you have any questions or feedback then please drop a note. P. S. - If you are interested in Game Development and looking for some free stuff to start with then you can also check out this list of Free Game Development Courses to start with. It's not as comprehensive as some of these courses but still is good enough to learn Game Development with Unity framework.